White whole wheat flour is a powder made from grinding the entire hard white wheat kernel. It is not bleached whole wheat flour. Wheat is produced globally. In the U.S., hard white wheat is grown primarily in Western Kansas, Nebraska and Oklahoma and Eastern Colorado. 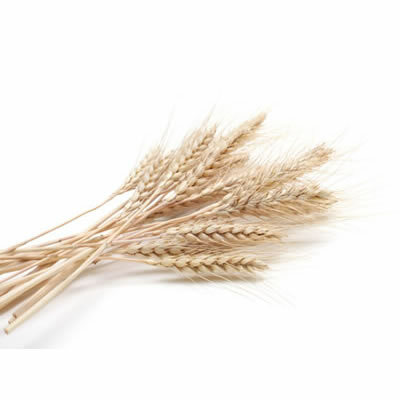 White whole wheat flour is used for the manufacture of products that want to meet whole wheat guidelines, but have the texture and appearance of products produced with refined wheat flour. White whole wheat flour has a whiter color and milder flavor than traditional whole wheat flour made from red wheat varieties. White whole wheat flour is also used for Asian noodles. White whole wheat flour is composed of moisture (14%), protein (12%), fat (1-2%), carbohydrates (54-62%), fiber (1.7-2.6%) and ash (1.2-1.7%). White whole wheat flour retains the fiber that is lost when the bran and germ are removed to make white flour. White whole wheat flour is ideal for use in bread products that need to have a softer crumb, texture, and color, but the nutrition of whole wheat. For artisan varieties, additional vital wheat gluten may be necessary to increase the protein content and strength. White whole wheat flour can be used for whole wheat cookies, brownies, pizza crust, pancakes, muffins, etc. Since white whole wheat flour is not chlorinated, it would not be ideal for cake products that have a high sugar-to-flour ratio. It could be used in part with a cake flour if a “Made with Whole Grains” claim is desired, but the cake formulation would need to account for higher protein. This food is very low in saturated fat, cholesterol and sodium. It is also a good source of dietary fiber, and a very good source of manganese and selenium.